An artists impression of the facility. 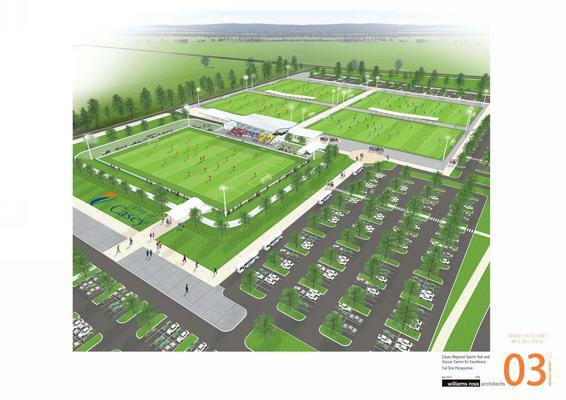 City of Casey has celebrated a massive score after construction kicked-off for a new Casey Fields Regional Community Football Facilities project. 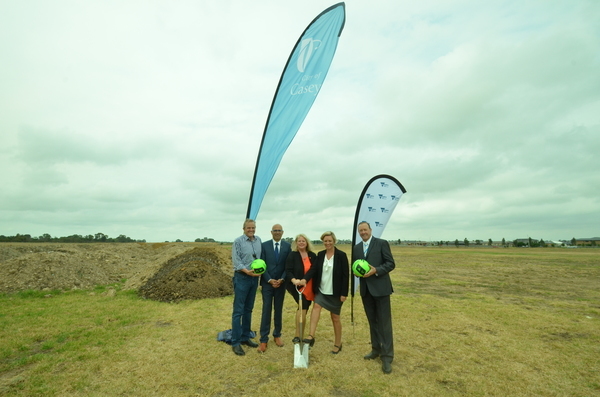 A ground-breaking ceremony for the $18 million project was held at Casey Fields with Cranbourne MP Pauline Richards joining Casey councillors and members from local soccer clubs on Tuesday 5 February. City of Casey Mayor Cr Amanda Stapledon thanked the State Government for its contribution and said the development of the facility would help reduce the shortfall of soccer facilities that currently exists within Casey. This project is jointly funded with a $5 million contribution from the State Government through the Growth Areas Infrastructure Contribution Fund, and a $13m input from the City of Casey.